Halloween is one of my favorite times of the year. I love the décor, the haunts and being creeped out. That’s why I’m on the lookout for the best Halloween attractions in Minnesota. I am always trying to find the balance of Halloween fun, without scaring my children too much. It’s a constant battle that I’ve been having with my husband anyway on what is appropriate for our yard. I’m sure many of you can relate. Seeing as though Minnesota is known for its haunted houses, I like to try and get to an event that the whole family can attend. This is where the real challenge lies. Here is a list of some of the top events I’ve found around the Twin Cities Halloween activities for kids. For preschool through middle school-aged youths. This Halloween trail is a great way to do some pre-trick or treating with your kids. Be sure to wear your Halloween costume and dress appropriately for the weather conditions. The Trail starts at the park and Ride Lot on highway 3 and winds its way through Central Park. Cost is $5 and you must register ahead of time. 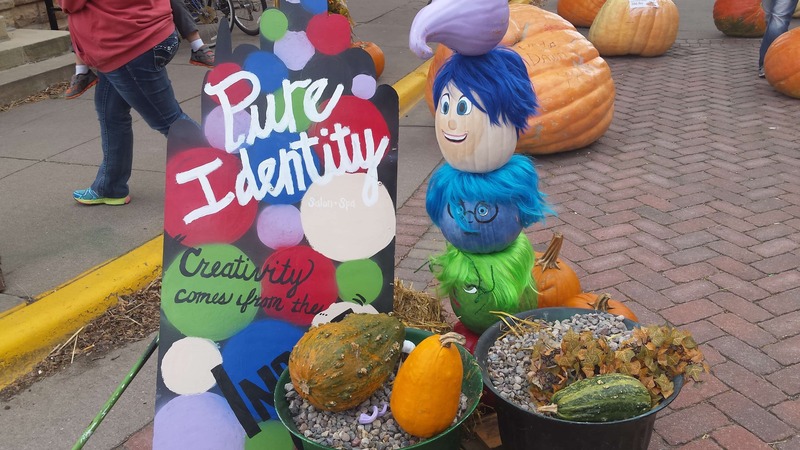 Ghosts, goblins, princesses a, d superheroes of all ages flock to Nicollet Commons Park each October for an illuminated treat trail, music, and entertainment. Sunday, Oct. 28 | Noon-1:30 p.m.
Skate alongside Pokémon, rock stars, skeletons and pirates. This event features trick-or-treating, prize drawings, refreshments for purchase and private lessons for new skaters. Bring your own skates or rent some! Carnival hall, Hayrides and crafts. October 27th 10am – Noon. Spooky games, costume contests and trick or treating. Every day in October Mon- Thur 7:30 & 9:30pm, Fir – Sat 7:00, 8:00 & 9:30pm & Sundays 7pm. Taking visitors on a spooky or not so spooky light show accompanies with music. Park Wide pumpkin displays with rotating events like armature pumpkin carving contest, dance parties, and costume contents. For all Nickelodeon Universe costs, prices vary on the package. Check for times. Scare-free during the day… Pumpkins on display and storytelling. Some rides and locations have been taken down for haunted rooms. The actors will not scare the young children in these houses. Spooky science experiments will be happening all day long with hands on activities. Friday and Saturday, kids will ride the streetcar with ghosts, zombies and witches. They’ll play games and listen to ghost stories. Come Sunday, kids will get an added bonus of a Halloween Treat! Tickets can be purchased at Excelsior Bay Books, 36 Water Street. Sunday, October 21 from 1-3 p.m.
$5 for kids + Admission to the Arboretum. Kids are free, but adults are $12. Costumes for kids, trick or treats outdoors, crafts, family games and music. If you are planning a trip to the zoo, I would recommend going one of these weekends. Not only will you not be dying in the heat outside, but you will have a lot of extra entertainment. Seeing a bunch of kids in costumes exploring the zoo is one of the cuties things you will see. Over 5,000 different jack-o-lanterns will line the pathways at the MN Zoo. Even though the event is at night, they promise that there will be no scaring. Should be a great time for everyone in the family. Any other recommendation for kids Halloween activities? Feel free to post them in the comments. I’m always looking for something new. The Westwood Hills Nature Center has an awesome Halloween Party for the entire family on 10/16 & 10/17.